Blood pressure measurement and management is an integral and vital standard procedure in healthcare. The equipment necessary for proper measurement often consists of several components, making it cumbersome for on-the-go medical professionals and risking loss or damage of individual tools. 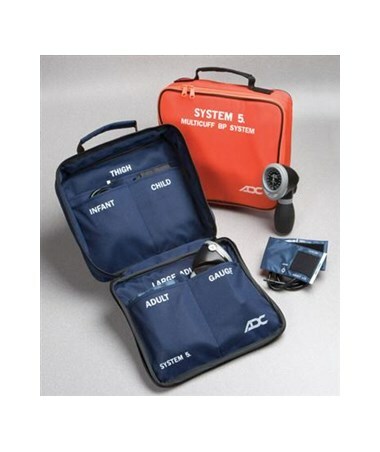 Additionally, medical professionals are often faced with carrying several cuff sizes to fit every patient.ADC's carrying cases for multicuff systemskeep all blood pressure gear stored safely in one convenient, attractive, easy-to-carry package, preventing loss, confusion, and juggling of myriad unwieldy pieces of equipment. Their roomy interiors hold all of the components of the System 5™multicuff system in one convenient, portable case. 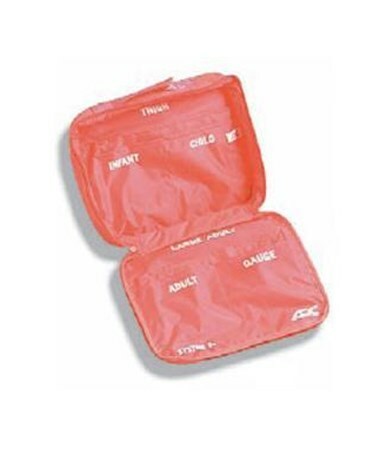 Each component of the System 5™ fits snugly into its labeled pocket in theattach-style case. The case is made of 600-denier, heavy-duty nylon with a dual zipper closure for rapid access and protection against the elements. Its reinforced carry handle allows for wall mounting when open. 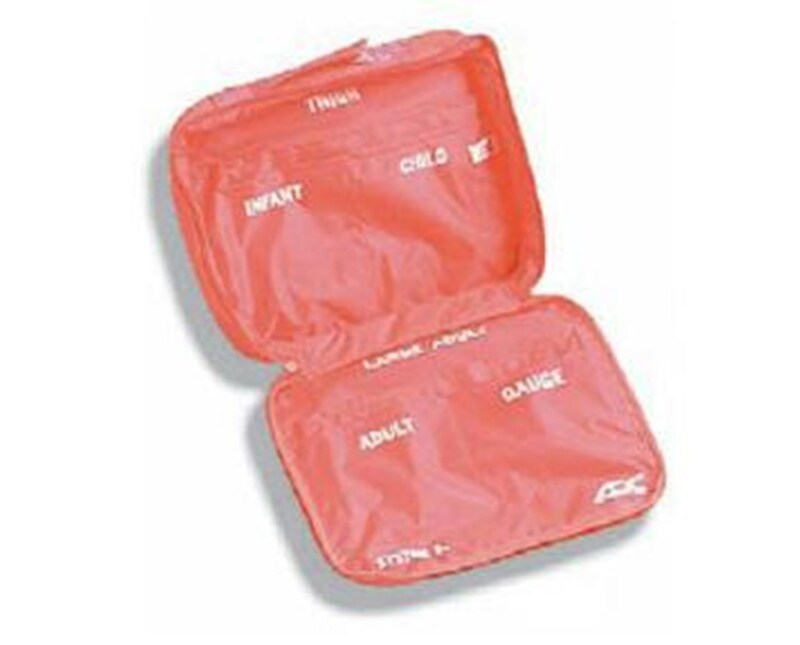 At 10" x 9" x 4" in the closed position and only 2.5 lbs., the case is portable and lightweight and can easily fit into most emergency boxes and trauma kits. The System 5™ case is available in navy (not shown) and orange. Choose a case from the drop-down menu in the upper right corner of this page.